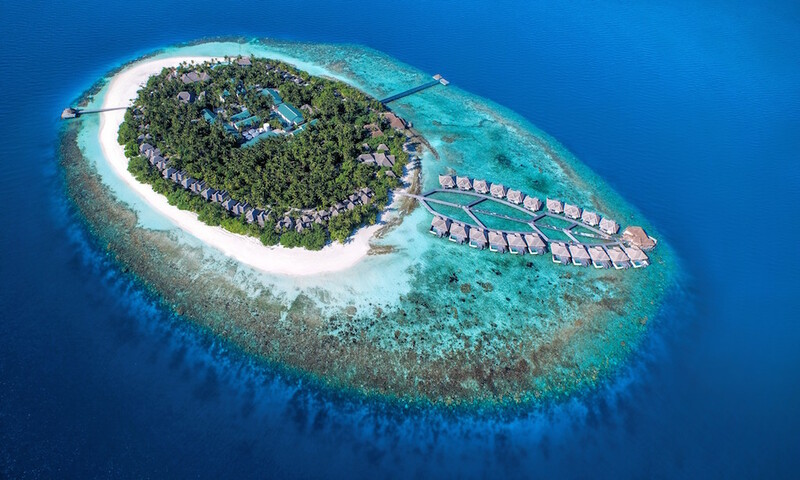 The spectacularly spacious Outrigger Konotta Maldives Resort opened its doors and welcomed its first guests on August 1st. The first guests, a family from Dubai, arrived after a 30-minute luxury speedboat transfer from Kaadedhdhoo Airport in the Gaafu Dhaalu Atoll in the south of the Maldives. The guests were welcomed ashore at the resort’s jetty by Darren Edmonstone the Outrigger Managing Director for Asia Pacific and the resort’s General Manager, Pascal Billon. 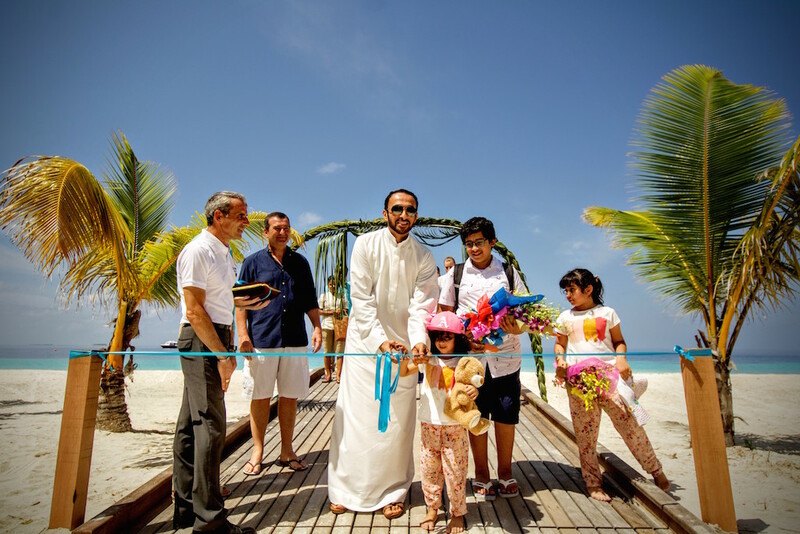 After a traditional Maldivian welcome ceremony with drums and dancing, the father of the family cut the ribbon to open a new chapter in Outrigger Resorts’ expansion, which has seen the company open premier-class beachfront properties in Mauritius, Phuket and Fiji, as well as the Maldives, in the last three years. 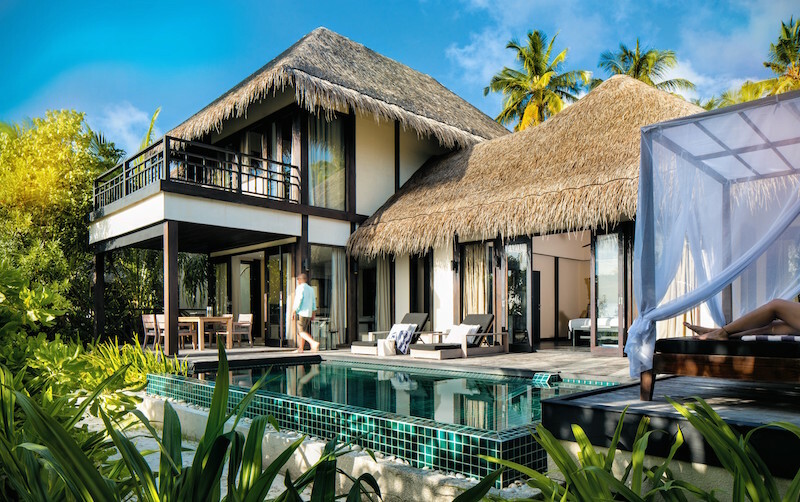 The 53 key all-villa property comprises 24 Beach Pool Villas (211 sqm), seven Two-Bedroom Pool Villas (282 sqm), 21 Ocean Pool Villas (225 sqm), and the Presidential Villa (600 sqm). The turquoise waters off the Outrigger Konotta Maldives Resort feature a well-formed reef with abundant coral diversity and a great variety of marine life including turtles and eagle rays and regular sightings of dolphins. On day two of opening, the Outrigger welcomed guests from China, Korea and the USA.